“Books are a uniquely portable magic.” —Stephen King. Books take us to new places, teach us new things, allow us to experience new lives. The magic of books is limitless: they’re portable and cheap; they improve your memory and your vocabulary; they are mentally stimulating and stress reducing at the same time! We asked BCL members what books they’re reading right now and they shared some insights on their current reads. What book are you currently reading? The Winds of War by Herman Wouk. It's a fascinating look at Germany's build-up to World War II, primarily through the eyes of an American family. It weighs in over 850 pages, so it's not a quick read. But it's a well written and immersive story (though not exactly fine literature). My son is a WWII history buff, so reading historical fiction is a great way for me to refresh my memory and fake a semblance of knowledge with him! Personal and business lawyer helping innovative people and their families plan for growth and protection. What book are you currently reading? The Million-Dollar One-Person Business by Elaine Pofeldt. It relates to running my own business and helping small businesses that I work with. It's relevant to where I am right now and discusses a wide variety of businesses. What book are you currently reading? 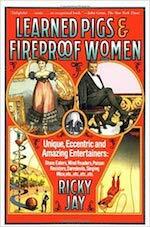 Learned Pigs & Fireproof Women: Unique, Eccentric and Amazing Entertainers by Ricky Jay. [It’s a] fascinating look at the history of vaudeville and offbeat show biz entertainment. I love it! Brooklyn-based graphic designer, illustrator and food writer. Design and marketing for BCL member, Certified Naturally Grown. What book are you currently reading? Inferno: A Poet’s Novel by Eileen Myles. Above all, I really love Eileen Myles' prose (and poetry!). Each sentence conveys a real sense of wonder about the moment at hand, and helps me see everyday interactions in a new and powerful light. I also love seeing NYC through their eyes in the 70s, 80s and 90s, where they spend time in the company of other creatives and artists. The only downside is that the book ends and I'm left wanting more. As a freelancer and creative illustrator, I am forging my own path and livelihood in NYC. As a visual artist, I find Myles' approach to writing and poetry fascinating and inspiring—words are their way of capturing a moment in time and rendering it relatable and emotionally alive. That's my ultimate goal in my illustration and painting work. And vocationally, Myles, too, works for themselves and is always "at work," always writing poems and finding new artistic endeavors. There's a relationship, possibly, in the way we're working independently of a more traditional 9-5 schedule. What book are you currently reading? The Diving Bell and the Butterfly by Jean-Dominque Bauby. It’s an incredibly moving and beautifully written memoir. It has made me cry on the subway more than once. What book are you currently reading? 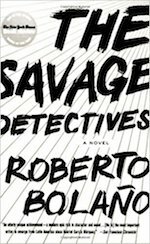 Savage Detectives by Roberto Bolano. It’s fast-paced, youthful and creative—wildly creative at times. In typical post-modern fashion, [the novel] is sometimes hard to follow—every few pages are from a new narrator. Construction professional with extensive experience in the execution and management of construction management development projects. What book are you currently reading? The Way to the Spring: Life & Death in Palestine by Ben Ehrenreich. It’s an in depth portrait of daily life in occupied territories of the West Bank and it’s brilliantly written. What book are you currently reading? Henry IV, Pt 1 by William Shakespeare. I’m not crazy about the way Hotspur talks to his wife, but I guess it’s a way of showing the overall flaws in his temperament. Also, more Falstaff! What book are you currently reading? 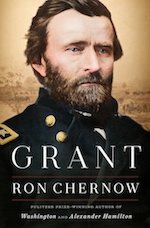 I'm currently reading Grant, an amazing biography of Ulysses S. Grant by Ron Chernow. It's a doorstop of a book—almost 1,000 pages but I can't put it down. I am so into this book, mainly because the book is so relevant to our age. It's no overstatement to say that the United States is currently undergoing a political crisis as severe as anything since the Civil War. And here is this deeply flawed leader (Grant was a lifelong alcoholic and a failure in life until he joined the Union army and rose rapidly through the ranks), who nonetheless was a brilliant military strategist, a sensitive political leader, and next to Lincoln, did more than any other leader of his era to preserve the union, end slavery, and protect the political rights of formerly enslaved people. The chapters on the Civil War are page turners, and the sections on Reconstruction makes you pray that we can learn from our past and not repeat the same mistakes that we made when dealing with the previous batch of traitors who threatened our nation. Once Grant found generals he could trust—Sheridan and Sherman in particular—he put his faith in them, let them make their own decisions, and gave them credit for their victories. He inspired the men who served under him and managed a comprehensive war in several different theaters. Lots of lessons in how to lead. From business building to circus performers, British dramas to New York poetry, BCL members clearly have eclectic and diverse interests. The poet Ranier Maria Rilke once said “Ah, how good it is to be among people who are reading;” makes sense why it’s so nice to be among our members! Let us know any time if you’re reading a particularly good book—we are always open to a book recommendation.